I'm not going to get all excited, honest. I know this counts as "week one" as I've had that 10 month break from the diet, and I know that most people will drop a lot in the first week. So I'm really, really not going to get all happy happy dance around about this weeks weight loss.... even though it was 5 lb! Oh, who am I kidding?! WHoooooOOOoo! 5lb! GET IN THERE! Hahaha.... It brings my total weight loss since November (i.e. pre pregnancy) to 31lb and puts the half way mark of 36.5 lb in sight. 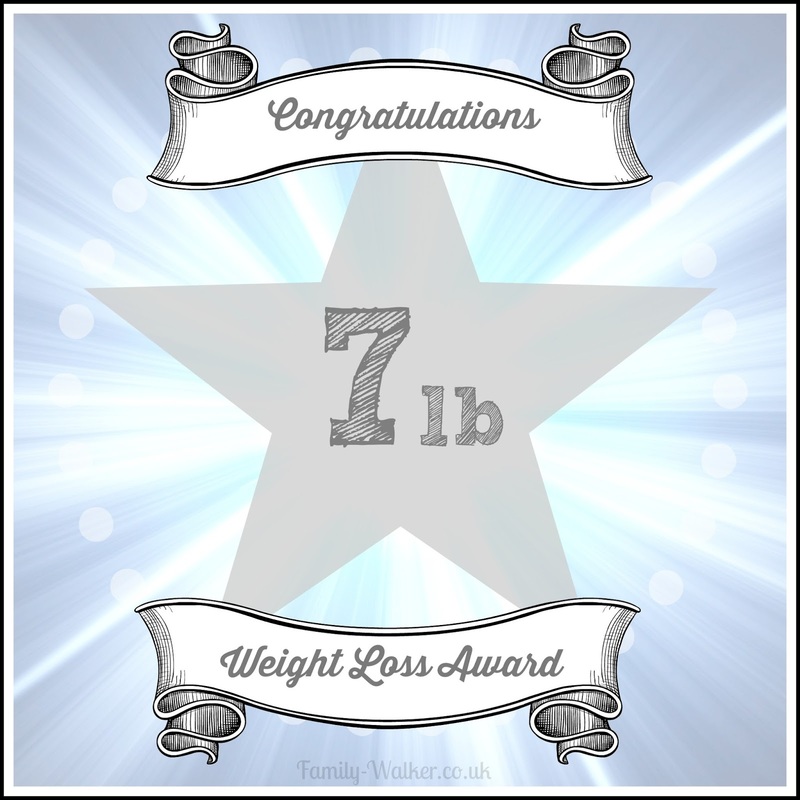 I also got another 7lb star from Weight Watchers! It's also a good start on my Halloween Hotties Challange which I set up earlier this week on Weight Watchers. As it was 7 weeks until Halloween I set that challenge up to lose 2lb a week and drop a stone for the end of October. 5lb in my first week is fab, esp since we have a family do and half term at the end of October which will put serious pressure on my will power. Feels like I've got as head start! Sunday is more than just weigh day though. It's my "day off" where I don't worry too much about the points, although I try not to pig out on junk. On Sundays Hubby likes to make us all bacon butties for breakfast, and I cook a big Sunday Dinner. Usually a roast. With roasted potatoes and so on.... Today we're having a boiled ham, roast potatoes and steamed veggies. Facebook has changed it’s policy for posts to Facebook pages like mine. They are only showing posts to a few likers unless I pay to boost the views. Since I don't earn money from my blog (or at least not much, not even enough to buy one posh a coffee a week) I wont be doing that. The best way to make sure you will see my blog posts is to subscribe by email up there on the right. I usually only email once a week and include an invitation to my blog hop so you can share your posts too.